Every F model in attendance. Cant wait to watch it. F cars and LFA are going to be the some of the best sounding and good to look at cars there. TheNerdyPotato and Joaquin Ruhi like this. Where and when did you hear this? One of the hardest losses for Lexus and the GS is dropping the GS F. Even if they come up with a next gen IS F, the amount of dead space between a ~$65-70k IS F and a ~$120k LS F is too much. They can't do anything with a FWD ES, unless maybe the next gen TNGA FWD platform can accommodate a much higher performance AWD system with better balance and weight distribution. That's a decade away. At this point, I think it would make more sense for Lexus to drop the RC than the GS, and reposition the GS as a four door coupe like we've all been saying. The GS is selling 2x+ RC numbers. 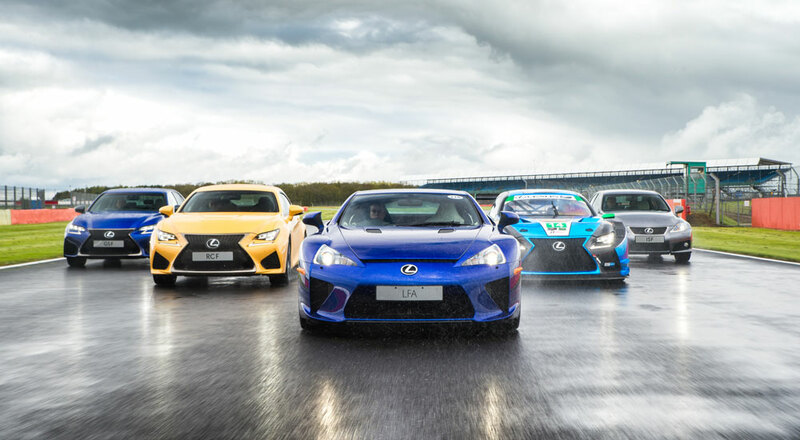 ... is a decent lineup, but without GS F, the whole "F" concept really means very little. One "attainable" car with IS F and then two halo $120k models at the top? There's no continuity. No consistency. Lexus' best bet is NX F and RX F, but again, I don't think TNGA has the capacity to support high performance AWD and high horsepower applications in FWD-biased cars like Audi does. Joaquin Ruhi, ssun30 and maiaramdan like this. You know what's even worse than an incomplete and inconsistent F line-up? Lexus manages to sell a large number of F-Sport packages even without attractive F cars. The whole point of these low-volume performance cars is to increase the average selling price of regular models through additional packages. If the packages sell themselves it just gives Lexus a very convenient excuse to not pursue a strong F lineup. Gecko and maiaramdan like this. Of course. Ze Germans could end AMG and M tomorrow and the "_ Sport" packages would continue to fly off the shelves. It's as irrational as CUVs. You sure you don’t want to say too much mikeavelli?? Do you want to say that we will see a next generation RC? Yikes... this was timely based on our discussion here. Great review IMO. TheNerdyPotato and Tragic Bronson like this. The discussion above is all based on preconception some of us have instilled by opinions based on no-owners and inexperienced reviewers. Why does an enthusiast think that a car need to have 600+ HP to be desirable? I personally find that all F cars are very misjudged. They comparative have better power-train and interiors. Every reviews mention weight but all of the cars weigh about the same in real life. One more thing most of the F owners are very enthusiastic about the vehicle they own, after-all they looked at the segment, read the reviews and yet with all the negativity they still purchased the car. Ian Schmidt and mikeavelli like this. That editing lol...can't even blur a license plate right. I agree. His review is garbage here. The RC F has fared well considering everything he has mentioned. I guess my glass is half full. Motor and Ian Schmidt like this. Lexus confirmed that the car in the fire was a model year 2015 race car show car, which “can be used for racing,” but is based in Europe and is not one of the IMSA competition vehicles. At least it wasn't the UX. And since it caught fire in the back, it's a fuel tank or fuel pump issue probably. It was probably caused by all that hay flying around the track. Either way its not good!